The OMEGA Processing Game of the Week features the Newport Central Catholic (NCC) Thoroughbreds (16-3) hosting the Highlands Bluebirds (3-9). The Breds have dominated the recent series between the two teams. They have won the last seven match-ups and nine of the last 10. 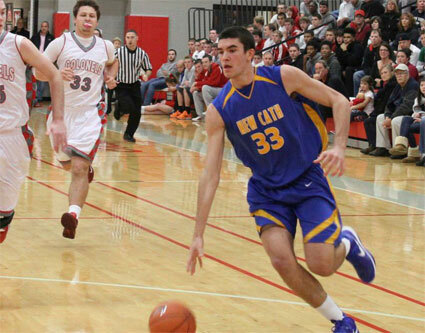 NewCath is riding a nine game winning hot streak and has won 11 of the last 12. They defeated Newport 67-40 on Saturday at Dayton High school in the All 'A' Classic Championship. Highlands was struggling at the beginning of the year, losing their first six games. They are looking to win two games in a row for the first time this season. They defeated Dayton High School, 63-23, on January 18. They've had 10 days to prepare for the Thoroughbreds. The game starts at 7:30 at Newport Central Catholic and can be seen LIVE on NKYSports.com.